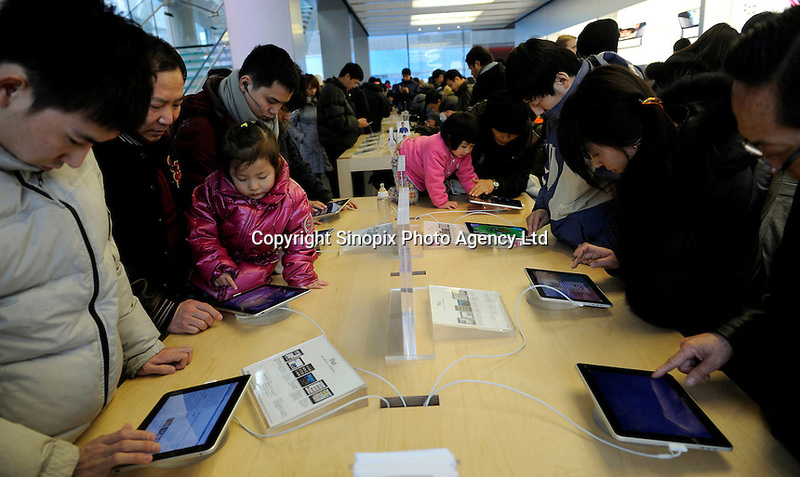 Customers trying out Apple iPad in the Apple Store in Beijing, China. China Realtime Report says that Chinese Apple Stores are big business for the company, averaging 40,000 visitors per day that's more than four times the traffic of Apple's U.S. stores, its stores brought in a reported US$2.6 billion last quarter, the best numbers from any of their stores worldwide. By 2012, Apple will meet its goal 25 China Apple stores..